Arden Gardeners is an exciting public art and gardening project in collaboration with PEER’s neighbours, the North and South Arden Estate, generously funded by Groundwork’s Our Space Award. 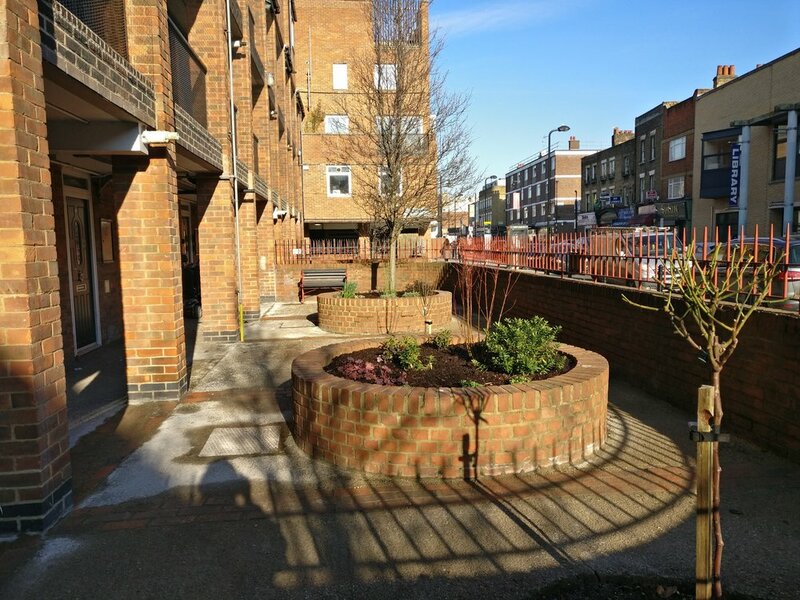 The project breathed new life into very tired communal planting beds and seating in front of residential flats on Hoxton Street by re- landscaping, and re-hard landscaping with community involvement. Local residents have been closely consulted on the design and encouraged to participate in gardening sessions; nurturing existing skills and learning new ones along the way. Designer and horticulturist Jane Heather and artist Finn Thomson have worked on the project. Jane currently takes care of Khadija’s Garden and is a known face to many local residents on the street. 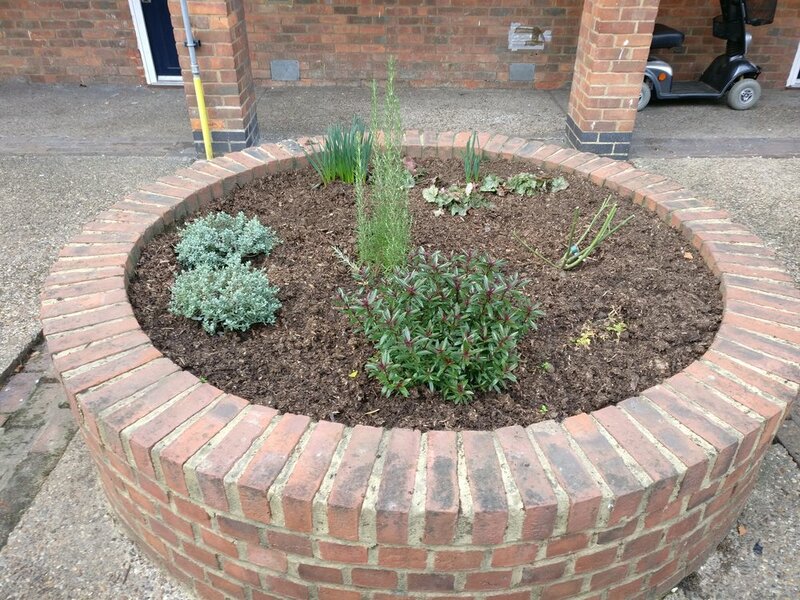 As well as leading on the planting design, Jane has supported local people to look after the beds and offered horticultural training to Arden Estate staff. Finn Thomson’s work explores the idea of public sculpture, its use and value. He is interested in the way in which materials and objects operate questions social behaviour. The seating in the area was uninviting and uncomfortable to sit on. Harking back to the Victorian heritage of the Britannia Theatre, which once stood where the flats are now, the benches have been made using reclaimed steel bench ends, recycled plastic wood lumber and featuring sunflower and thistle designs that were chosen by residents. 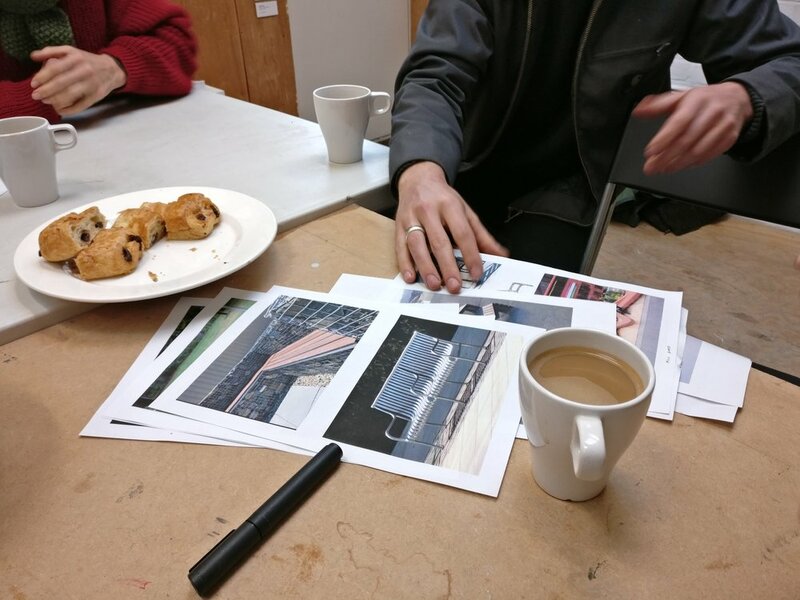 Combining art, design and gardening, the project aims to create a community-led and more attractive place for local people to socialise, enjoy and care for. Participants putting the final touches to the bath planters. Bath planters with a freshly painted backdrop. In the future we will create bases for the bath planters to sit in. Bath planting workshop during October half term with local residents, families and young people as part of Arden Gardeners. Moss, algae and dirt covers the brickwork and paving area. The pear tree has seen better days. Hose pipe at the ready! Some of the new plants are in! The beds are looking fresh! 24 October– bath planting half-term workshop with local residents, families and young people. We also met a potential hard landscaper on site. November– Our Curator for Local Audiences Alice starts visiting local residents to find out how they would like to see the site change. Most residents are pleased that the area is going to be revitalised! We find out that one of the benches is where local resident Linda’s mum, Kate, last sat, so it becomes especially important to make sure that the new design incorporates something in memory of her. 23 November– Arden Gardeners coffee morning! A chance to meet local residents with Jane and Finn talking through bench and planting inspiration and ideas. We learn that the Britannia Theatre used to stand where the flats now are. The Britannia Theatre was designed by the architects Finch Hill & Paraire, it was constructed by Hollands and Hanneir. It opened in 1858 and is considered to have been one of the most important 'Saloon Theatres' of its period. It was bombed during the war in 1940 and the flats were built in the 70s. We hope that we can bring some of this heritage into the new designs. Finn has been researching public bench designs and particularly likes the idea of creating benches with wrought iron ends that often feature intricate pattern. These benches are usually recognised by their wooden slats (easily replaced) and black, detailed patterned ends with arm handle. Finn tells us that traditionally these were painted green or an orange iron oxide colour and were only painted black after Queen Victoria died. We meet local residents Brian and Josephine who would like to see a pear tree in one of the planting holes. We talk to Linda and her friend Pat again who would like to see yellow roses in memory of Linda’s mother, Kate, who used to grow roses there. Local resident Sheffy talks to us, who has lived in the area for many years. He likes the seating with iron ends and the idea of these being unique and for the community to enjoy! 29 November– we started tidying the site, paying particular attention to the dirty and moss covered brick planters, tired soil and dug out the dead tree. Many of the Arden estate gardening and cleaning team were on hand to support with equipment. Linda kindly made us a cup of tea and our energy was fuelled by her generous supply of custard creams! 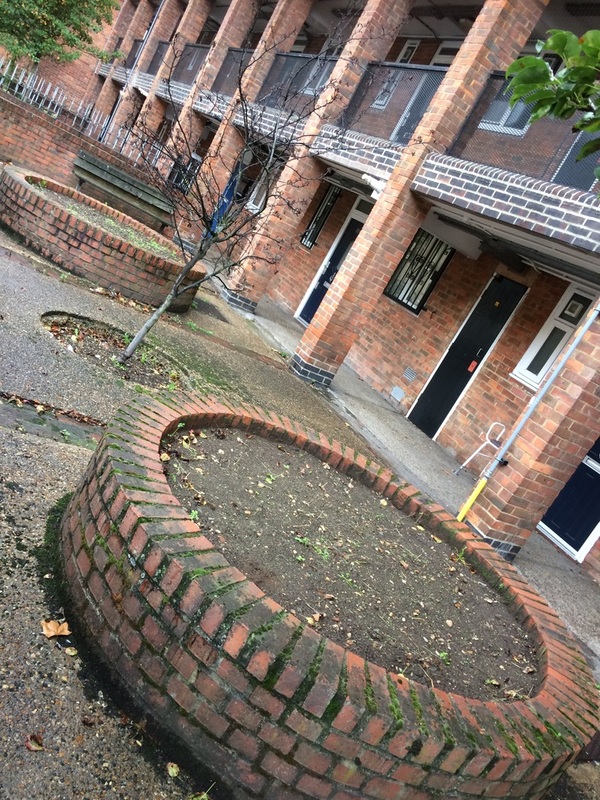 4 December– we continued tidying the brickwork and this time Kevin, the Arden estate gardener, provided us with a much needed hose pipe which enabled us to give the ground a good clean and sweep. We discovered that some of the drainage channels have been filled in, which is an area that the hard landscapers need to pay particular attention to in their renovation of the site. Sheffy comes to help us and looks through some of Jane’s planting ideas. She is currently thinking of introducing London species. Sheffy and Alice really like the idea of planting purple daisies! 14 December– Jane, Finn and Alice meet with the hard landscapers to go into more detail about the work required on site. They also discuss bench and planting designs. 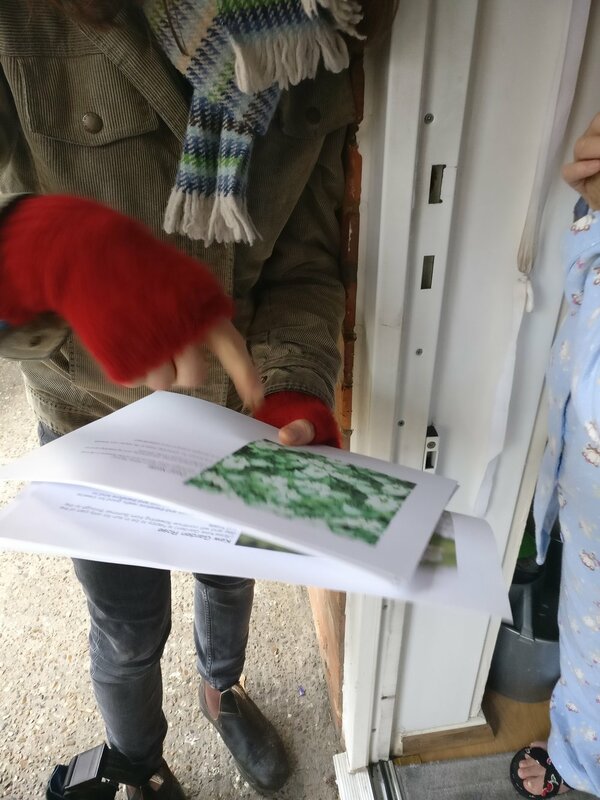 19 December– we go door to door to talk to people about planting and bench designs, laden with mince pies as everyone is now getting into the festive season! Finn has some images of different motifs he can weld into the bench ends. Linda and Brian choose sunflowers and Neva chooses a thistle. We talk to Sally and then she pays us a visit to PEER. She has green fingers and is currently growing hydrangeas and roses, but the rose has grown out of her reach so we will help her to prune it back in the new year, along with some new additions. We break ground and start planting the beds with Cornus Elegantissima and other lovely plants! Passersby stop to say how nice it looks, with one person asking us to keep the daffodils that were planted by a former resident. We learn something new about the area every time we are there! Our neighbour Susan has kindly offered to donate some plants to the project too. 21 December– Jane planted some Rosemary into the beds and Josephine came out to talk to her about Nigerian cooking that uses Rosemary. They decided to leave some room in the beds to plant more herbs in the new year. We helped Sally to clear her bed and cut back the rose. She was absolutely delighted! Kevin helps us to take the green waste away and brings the TMO’s hose to water the new plants. Finn picked up his reclaimed bench ends, ready to start work on them after Christmas, incorporating the resident’s ideas. 9 January– we met with somebody from the London Tree Officers Association to talk to them about the trees onsite as we had been struggling to identify them. They told us that they are Chanticleer pear trees and are a hardy variety. 24 January– Jane and Alice, with Kevin’s help, did some more clearing of the planting beds. Jane pre-orders the plants that we will plant in spring. The hard landscapers are on site and breaking ground! 25 January– a very exciting day with Finn installing the new benches. Harking back to the Victorian heritage of the Britannia Theatre, which once stood where the flats are now, the benches have been made using reclaimed steel bench ends, recycled plastic wood lumber and featuring sunflower and thistle designs that were chosen by residents. 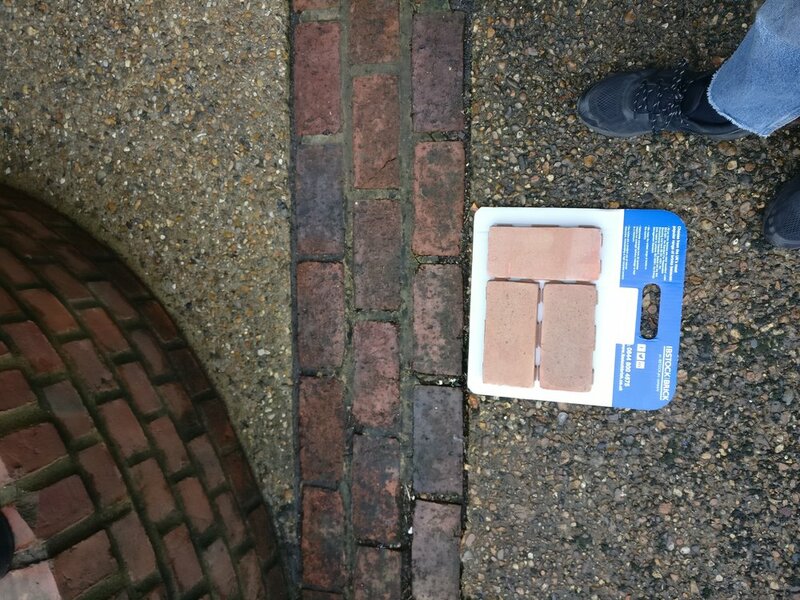 Today the hard landscapers finished their work to make the paving safer for residents– hooray! 26 January– Alice and PEER Ambassadors Amida and Fatim start to paint the currently grey, dull, galvanised steel railings with a fresh coat of red oxide paint to match Finn’s benches. 28–30 January– Kevin and Alice continue to paint the railings with some moral support from local residents and passersby; it’s a big job! The site is looking noticeably better and it feels like its spirit has really been lifted for the whole community to enjoy. Kevin and Alice receive positive comments from not only the residents, but people walking along Hoxton Street who are enjoying the gardens too. We think that the site should be re-named Britannia Gardens. Still to come… in spring we will complete the planting and celebrate the project with local residents when the weather is warmer. Pat has already offered to bake a cake!